From two girls to any number of girls as needed. 2 Girls, 3 Girls, 4 girls etc. Performance duration is usually 45 min. 30 mins show and 15 mins for pictures with guests. Brazilian Carnival Girls to add glamour, charm and excitement. These professional Brazilian dancers are extremely talented and wear authentic costumes that sparkle with every move. Whether they are dancing the samba or other traditional Latin dances, our Brazilian Carnival Girls turn a party into an extravaganza. What makes our dancers so amazing is years of training and a true love of the art of dance. Brazilian dancing incorporates quick movement, fantastic costumes complete with feathers and jewels, and, perhaps most important, the beautiful smiles of the dancers moving to the beat of the music. The result is a truly unforgettable addition to your once-in-a-lifetime event in Orlando, Tampa, Miami, Fort Lauderdale of Jacksonville Florida. Some of the events where our professionals have offered awe-inspiring performances include: Corporate Events, Party Hosting, Grand Entrance, Fairs & Cultural Events, Grand Openings, Parades & Reunions or simply for Photo Ops at events. The dance numbers are tailored to suit the style and size of the event, so you are sure to enjoy a carefully choreographed experience. Everybody loves a little salsa—the rhythm, percussion and stylistic steps—especially when performed by beautiful Brazilian dancers. Our troupe is skilled and their dancing is full of Latin-inspired energy. Our Latin dancers are so engaging that your guests may be inspired to get up and dance! And what about the samba? This lively and rhythmical dance originated in Brazil. Our Brazilian dancers come from the land of samba… and they dance the samba with expertise and flair. Who Else Wants to Throw an Unforgettable Party? Your guests will appreciate how your party stands out from all the rest. 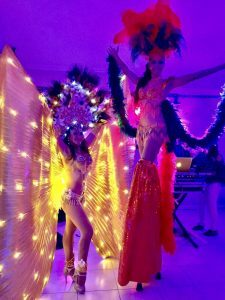 No matter what type of event you are planning, your guests will be talking about the charming smiles of our beautiful, talented Brazilian Carnival Girls. Your event will stand out from all the others in St Petersburg, Sarasota, Naples & St. Augustine FL. and be the talk of the town for its glamour and fun. 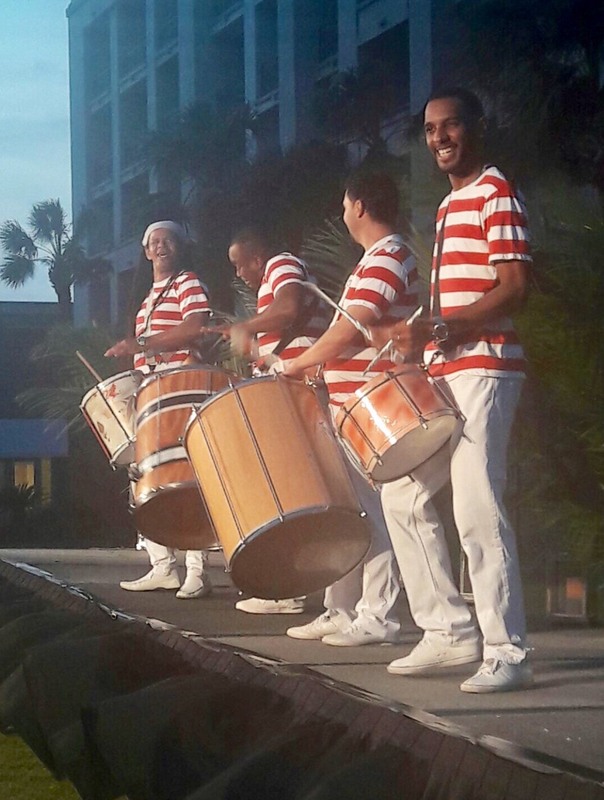 Bring your party to life with our Brazilian Batucada Drummers. Samba, Samba Reggae, high energy and fun. Book a Batucada drum performance for your parades, festivals and more. Request a quote on the tab below.